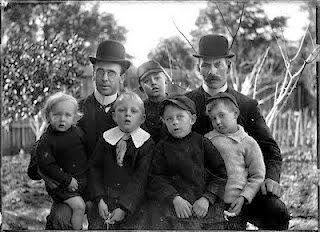 "First gay granted legal rights to adopt chilren, Hollow Falls, VA late 1920's"
When I first saw this on the net I was excited but skeptical. And indeed a little bit of digging revealed two things. (b) This image and caption have been totally made up! 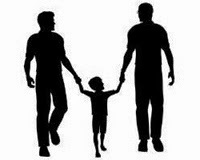 Whilst it is a really nice photo, it is not a gay couple, not from the US and it is not about adoption. It is actually sourced from Australia See HERE. So, I can enjoy the photo for what it is now, knowing what it isn't.